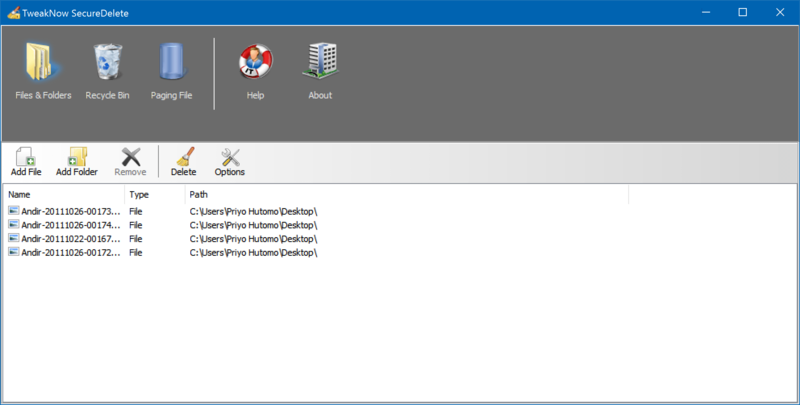 As you may already know that there are a lot of free and commercial undelete programs available on the internet. You may wonder how those undelete programs can magically bring back deleted files. Well, that's not really a magic at all. 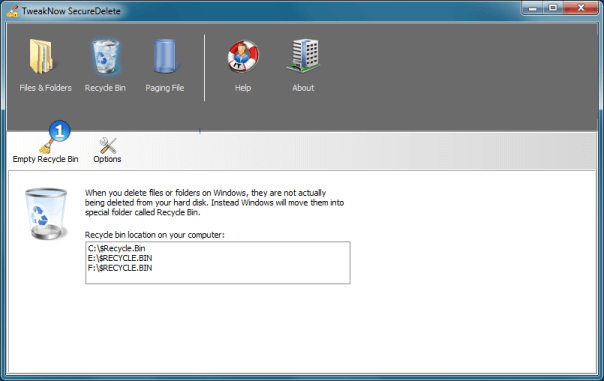 When you empty recycle bin in order to permanently remove deleted files from your hard disk, Windows does not actually remove them. Instead, for performance reason, Windows simply mark the location of deleted files on hard disk as unoccupied and reserve them for future writing. Hence, until Windows decide to write a new data at the same location of deleted files, those files are theoretically still exists in hard disk. If you want to recover deleted file from harddisk, simply scan through all unoccupied areas in your harddisk and try to find data that match the profile of file that you're looking for. When you find them, write those data into a new file. This is how an undelete program works. So, what should I do if I want to remove file immediately (permanently) from my hard disk? That's easy, all you have to do is force Windows to write a new data at the same location of the file that you want to delete. This is how a secure delete program works. Currently, there are several algorithms that can be used for securely overwrite deleted files. TweakNow SecureDelete support two of the most common used algorithms: Gutmann and DOD 5220.22M. As addition the program also support overwriting deleted files using series of random character multiple times. 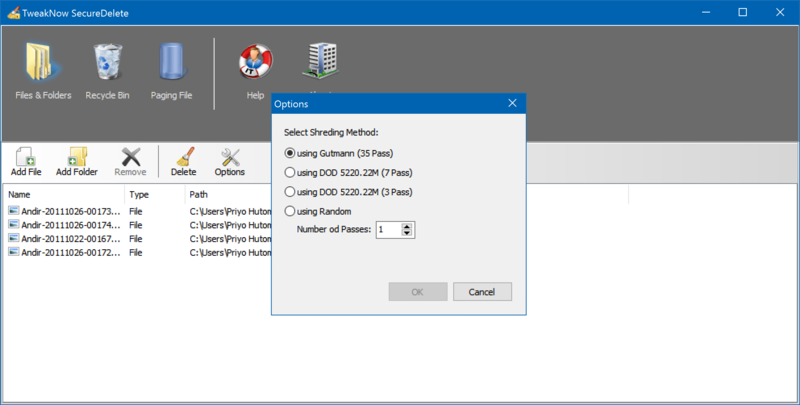 This method might be less secure, but faster than the other two methods and still safer than standard Windows delete method. 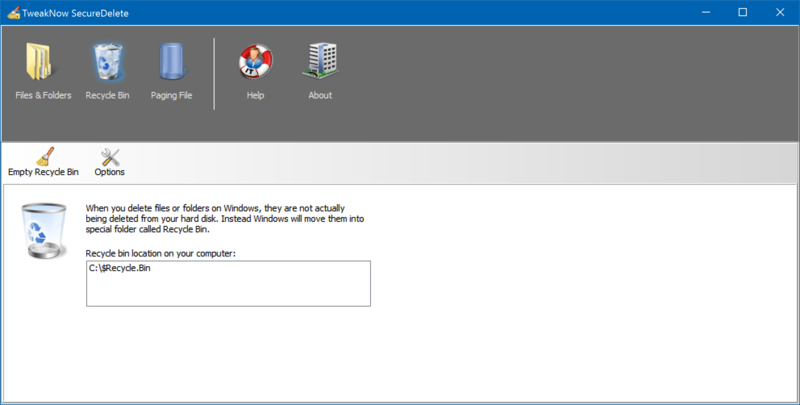 A paging file is an area in your hard disk that Windows uses as if it were RAM. This file is used as backup when no physical RAM available anymore to Windows for runing applications. 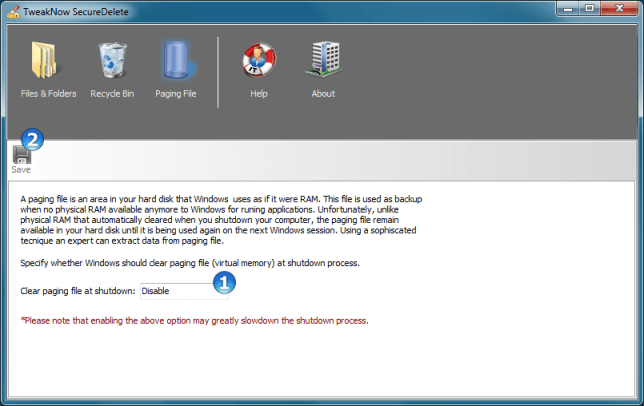 Unfortunately, unlike physical RAM that automatically cleared when you shutdown your computer, the paging file remain available in your hard disk until it is being used again on the next Windows session. Using a sophiscated tecnique an expert can extract data from paging file. Set the combo box value to "enable". 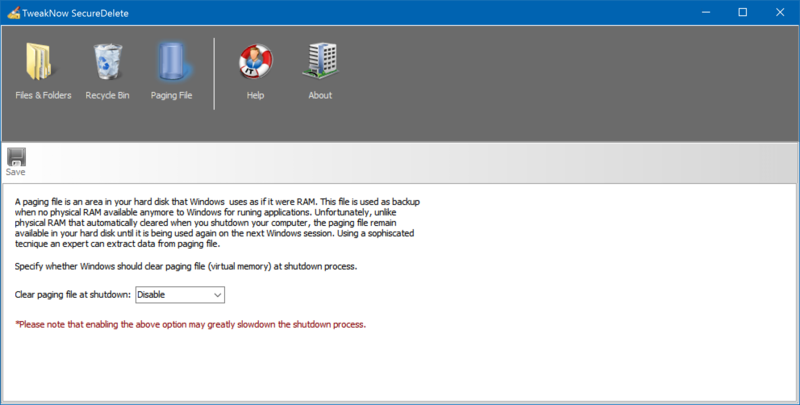 Note: Enabling the above option may greatly slowdown the shutdown process.